Dubai: By Carlos Ghosn’s standards, there was not much of sound and fury — or even a hint of drama — in his latest exit from the top position at one of the world’s leading carmakers. His tenure as chairman and CEO of Renault ended with him tendering a simple resignation, confirmed to the world by French finance minister Bruni Le Maire at the annual World Economic Forum in Davos. And within less than 24 hours on Thursday, replacements were named for both positions at Renault. Much of this transition had an air of inevitability. And it was probably fitting that the resignation was revealed in Davos, a place where Ghosn had strutted about all through his glory years for the better part of two decades. Where his legacy as a titan of the global automotive industry was reinforced on an annual basis. 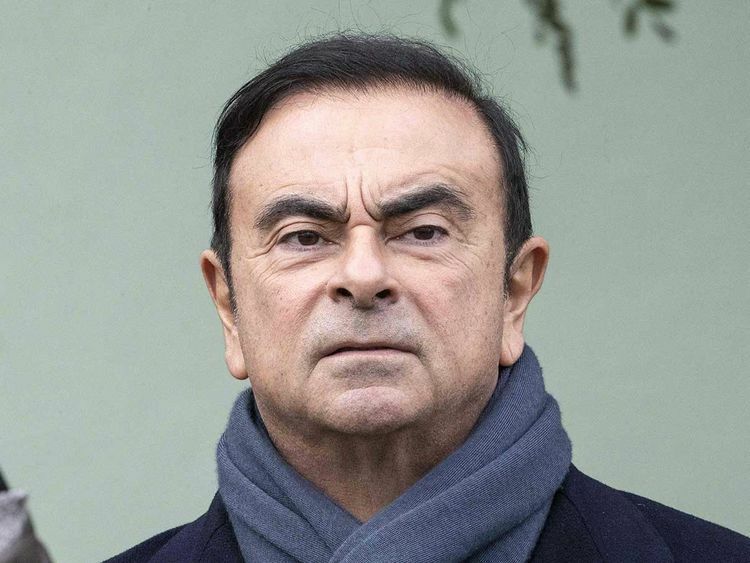 Until the announcement, many in the auto industry still believed that Ghosn would not put in his papers, and instead have the Renault board sack him as chairman. Much like what had happened over at Nissan. There, it was a summary removal from the post of chairman in November, when allegations of financial misconduct first came to light and subsequent investigations were launched in Japan. Nissan issued a terse statement on the Renault move. “We welcome these management changes at Renault,” it quoted Nissan CEO Hiroto Saikawa as saying. “Over the past 20 years, each company has respected the other’s identity and autonomy, and by combining our strengths we have created synergies and achieved profitable growth. A new chapter, it definitely will be. One that will not have Ghosn and his steadying influence in managing two culturally different car giants as part of The Alliance (which also includes Mitsubishi). So, is this truly the end of the road for Ghosn? He will need to answer for the more than $80 million (Dh293 million) that he is accused of not disclosing for the period 2010-18, as per Japan’s corporate laws. He is still holed up in a jail, having been denied permission for a bail. Since his arrest, Ghosn’s only public comments have been to profess his innocence on all charges. Some of the investigations, incidentally, could cover some of the actions he signed off on, including payments made to the Nissan distributor in Saudi Arabia. For the moment, no one in Nissan’s regional network is talking, leaving all of that to the corporate head office in Yokohama. Quite the pity because it was Ghosn who had a direct hand in scripting Nissan’s resurgence in these markets since 2000, with a focus on introducing models that had the best chance to succeed in one of the world’s toughest automotive markets. It paid off, with the all-powerful Patrol SUV, with the UAE turning out to be one of the biggest markets for it. Each of the many variations of the Patrol have been lapped up by its intended audience. Nissan was one of the first to experiment with crossover SUV models, even before they became a trend on roads across the Gulf. Ditto with the Tiida, which pre-empted the hatchback wave that was to follow in its wake in more recent years. In recent times Nissan’s luxury brand, Infiniti, has also been picking uo favourable numbers — helped along by a vastly expanded model range. 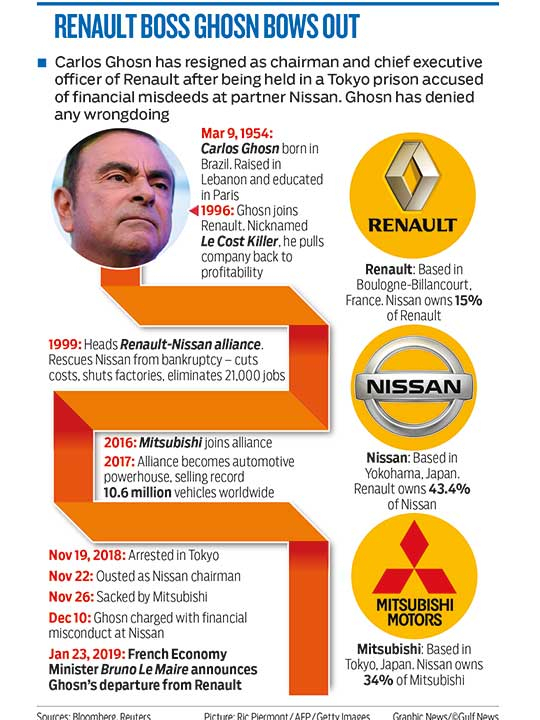 It was Ghosn who put together a regional management team with a single aim — do everything to win market share. Where a strategy needed tinkering, he gave them the go ahead, like the appointment of new dealerships in Saudi Arabia — through which Nissan again became a serious contender. Amid the public naming and shaming, it would be easy to overlook what Ghosn meant for the auto industry worldwide. That with sufficient personal drive and ambition, one could create globe-straddling alliances and succeed. Where others had tried and failed spectacularly. Ghosn showed that one needn’t be a member of an American or European motoring dynasties to make things work in an industry that was always slow to take in change. He could prove that the business of automotive was more than just making cars more efficiently. That it had to have a soul, a vision. It was to be his legacy. It’s also the same legacy that is in tatters following the arrest.